Yes, suing a public bus company differs from suing a private bus company in several respects including (1) legal enforcement, (2) licensing, (3) notice requirements, and (4) inspection rules among other things. Still Unsure Of Who You Should Sue In A Bus Accident Case? "(a) No civil action other than an action described in subsection (b) may be commenced in any court against a local entity or any of its employees for any injury unless it is commenced within one year from the date that the injury was received or the cause of action accrued. The law used to bar any action against the CTA if it was brought more than 6 months from the time of when it first accrued but that was repealed in 2009. Therefore, notice and the one-year limit are the most important procedural considerations when suing a public bus company. Also, remember that substantively there is very little difference for what you can sue a public bus company for compared to a private bus company. The mechanics of a suit against a public bus company differ very little from those against private bus companies. You still must file a complaint within the appropriate amount of time that lists the offender, the injuries, the misconduct, the right to relief, and the relief requested. However, some of these tasks are a bit harder in practice when the offender is a public bus company. 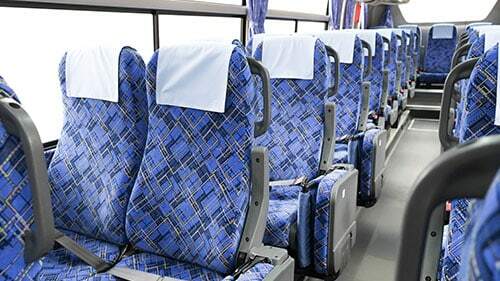 For example, at the onset of the case, most public bus companies will deny that you filed the case on time and they will expert significant resources to prove that allegation. Then, at trial, they will refuse that it was their fault; therefore, mechanically, one of your central goals will be to show that it was the company's fault and that you have no responsibility for the accident. Naturally, other kinds of defendants will offer these same arguments in similar bus cases, but you must be prepared to handle the size and sophistication of the counter-offensives launched by public bus companies in particular. Rosenfeld Injury Lawyers LLC has brought personal injury cases in Illinois against public and private defendants. We can help you identify exactly who to sue and how to bring your claim against them. Also, we won't ask you for a penny until you are happy with the outcome. Your recovery is within your grasp. Call the offices of the Rosenfeld Injury Lawyers LLC today.